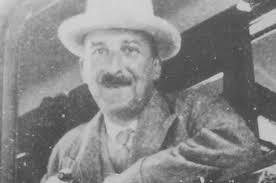 The book was published after Zweig’s death and it had to be pieced together from the manuscripts he left behind. A great many years had been spent researching Balzac’s life and it had become an obsession. What we are left with in this biography is still, despite the fragmentation, up there in the rarefied air – it twist and turns and roars – like the genius of Balzac himself. The following quote in the biography comes from Zweig’s mouth and it seems to encompass the paradigm that shaped both of their creative life. I imagine I will read this biography again: it is packed full of ideas, characters, vivacious plot lines and surreal anecdotes – just like a good novel by Balzac. Two short novels. Chess was the first bit of writing I had read by Zweig – having found him by mentions on the Pushkin press website and the fact he wrote a biography of Balzac. The novella was excellent and I followed it closely with Journey into the Past. Both were lyrical, melancholy, and filled with the past and reminiscences. The framework was a touch trite for these – but the strength of the evocation meant I was happy to let it go. Something in these reminded me of Nabokov – probably the appreciation of the backward gaze. And, the chess theme.